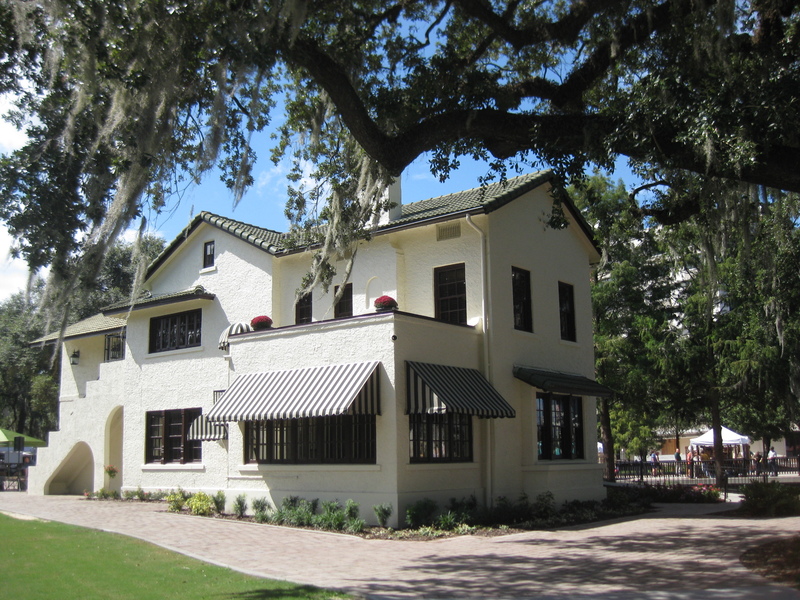 The Old and New Around Orlando’s Lake Eola | What Can I Say ? I haven’t blogged much lately. 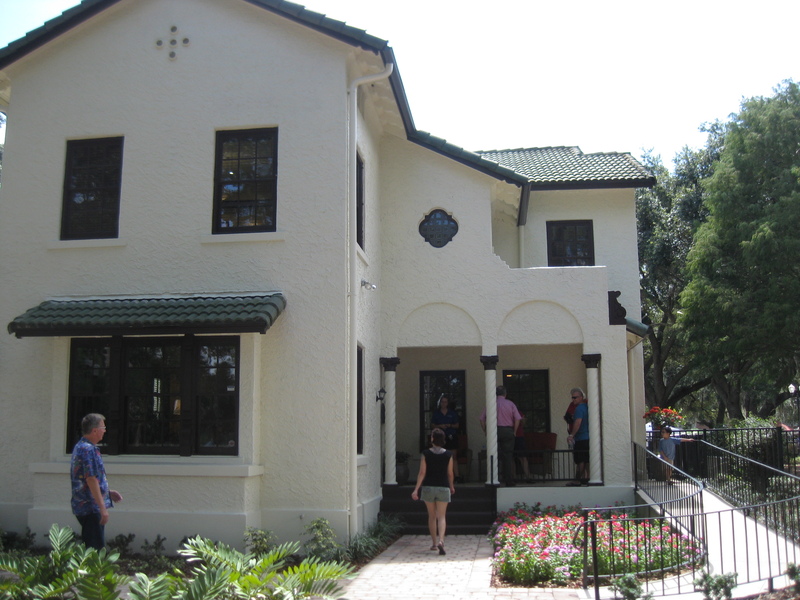 It’s not that I’ve lost interest in writing; my job at the Winter Garden Heritage Foundation involves a lot of writing, and I still take tons of photos as I wander and document West Orange County. Working as much as I do now has me staring fleetingly at my bicycle as I pass it where it stands perched in our living room, and I wonder when I’m going to go on another PhotoBike Tour. I’ve walked, though; downtown Winter Garden is just a few miles east of the area I’ve been documenting lately– Oakland and Tildenville and an area informally known as Brayton, which used to be a railroad stop where Brayton Road meets the railroad tracks. There were fertilizer plants here, and a packing house; if you’ve ridden the West Orange Trail and seen the building with the Seminoles logo on its roof- that’s Brayton; that building was once the Diamond R (Roper family) fertilizer plant. Cater corner to that, across the trail, is where the Bray packing house stood (the 1914 piers are still in the woods), which later became the Hall family fertilizer plant; if you peer closely at the picture below, you’ll see two of the piers. 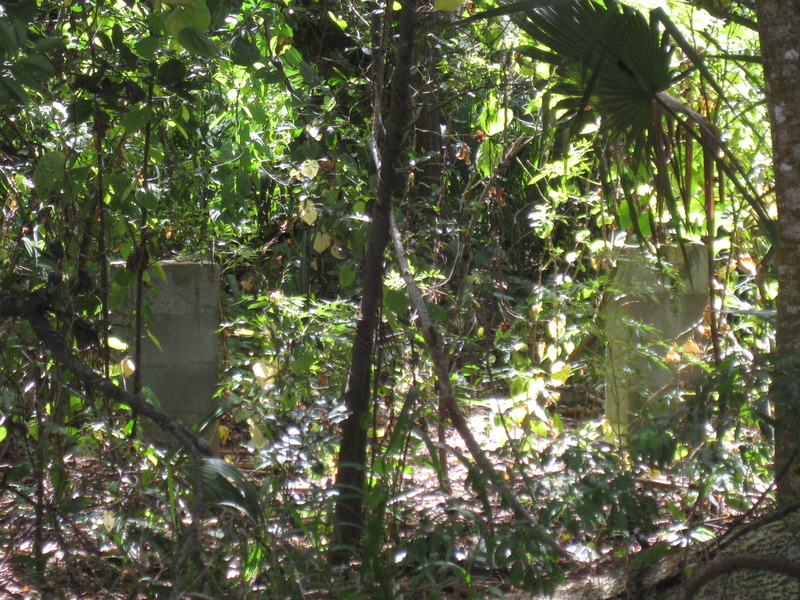 They sleep quietly in what looks very much like a jungle today, though this area was hopping with activity for many decades. 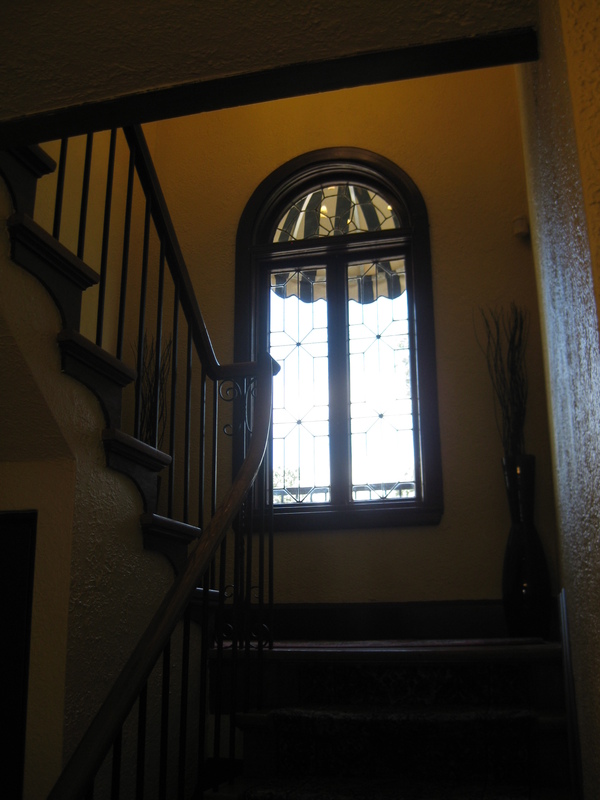 This window located at a landing halfway up the stairs to the second floor brightens up the center of the house. 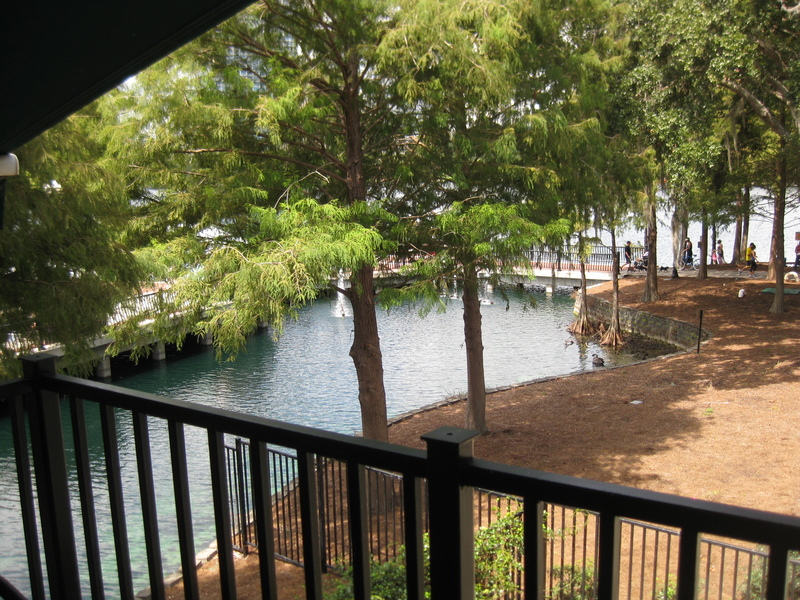 Here’s a view of the park from an upstairs porch. 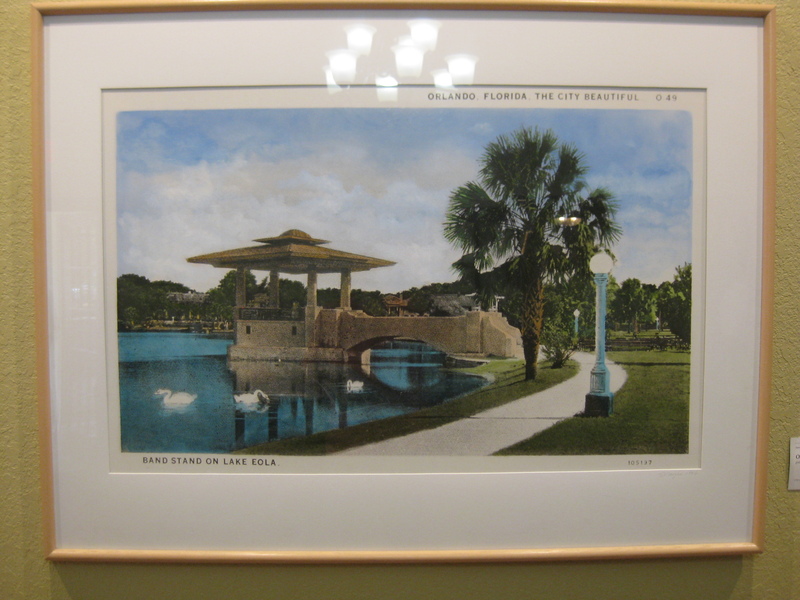 On a wall inside, a large postcard blow-up depicts the original Lake Eola bandshell. Another view of the exterior. The floors have all been refinished, and everything is fresh and clean and ready to receive guests in its new incarnation. There were lots of visitors, and plenty of city guides to answer questions and hand out literature. What would be a welcome addition, however: some sort of researched handout that details the lives of the families who built and occupied the house over the years. I love finding out about all that! 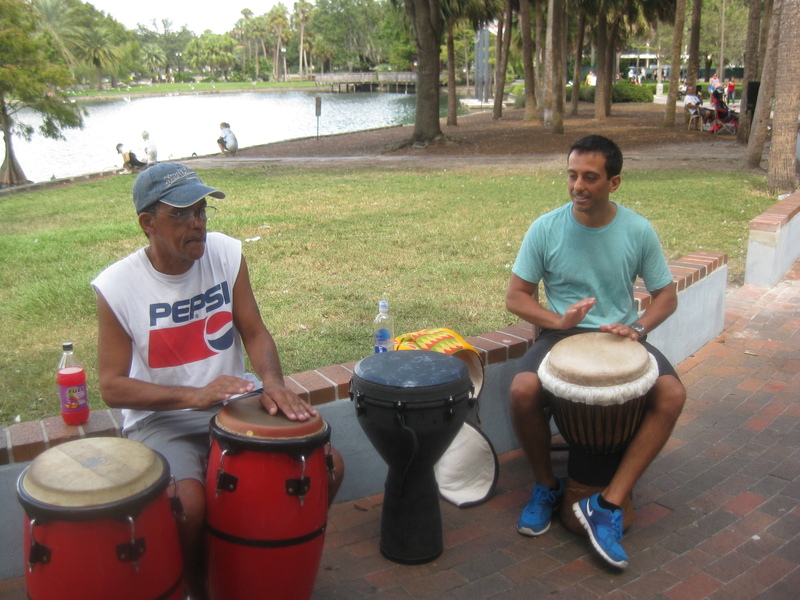 As you walk around the lake, you might find yourself stepping in time with these guys… that’s daniel at the right, entrepreneur at Kombucha! And, finally, a stop for rye and ciabatta from Denny at the Sweet Traditions Bakery table at the Farmer’s Market. 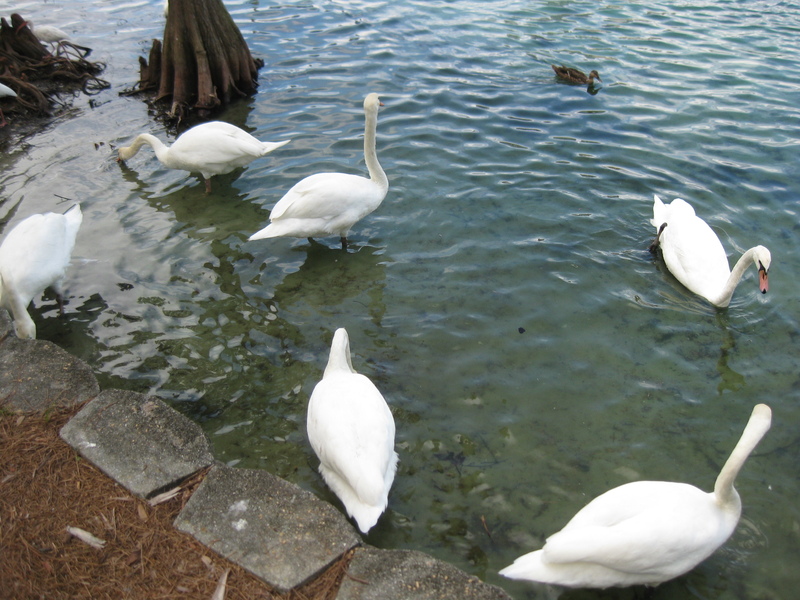 What I like about the park is that so many different groups of people use it comfortably with one another. It’s a great urban space, made even more accessible by the intelligent use of a house that could just as easily have been demolished. Great post, I was wondering what was going on with that house.